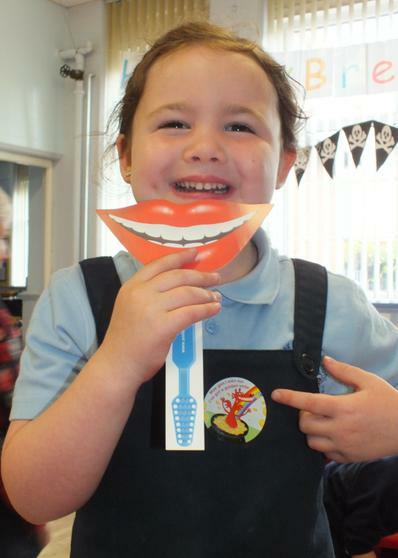 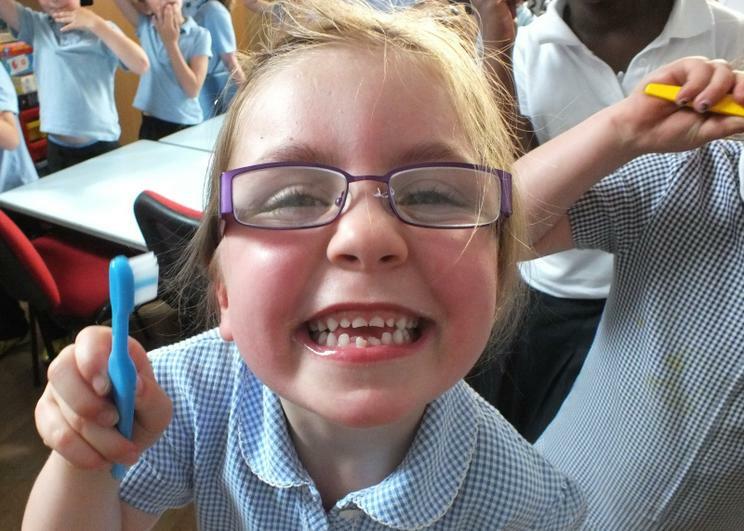 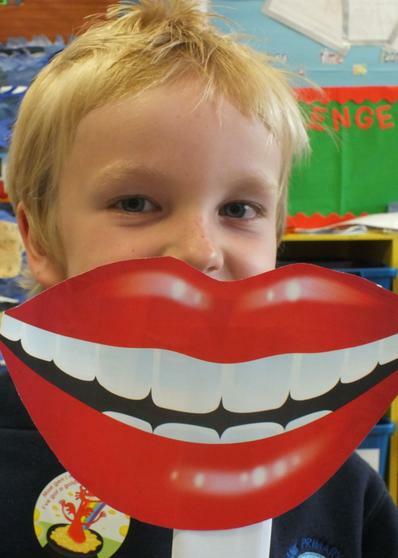 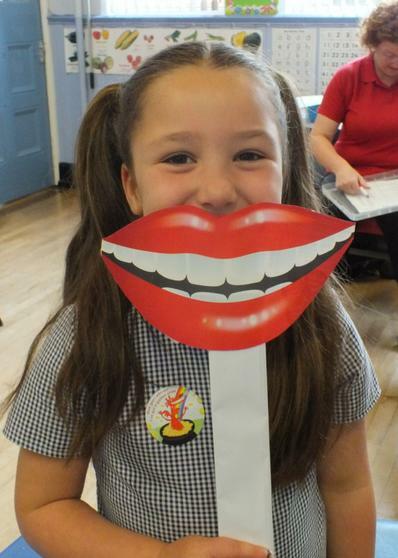 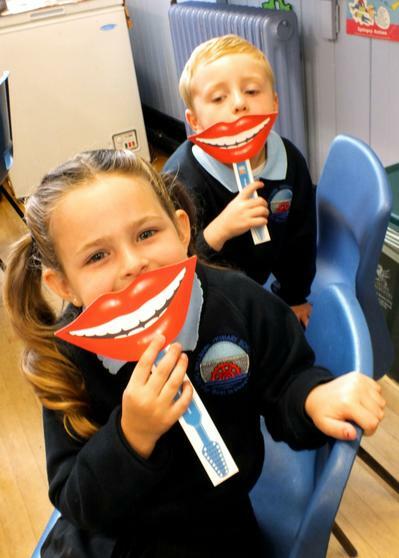 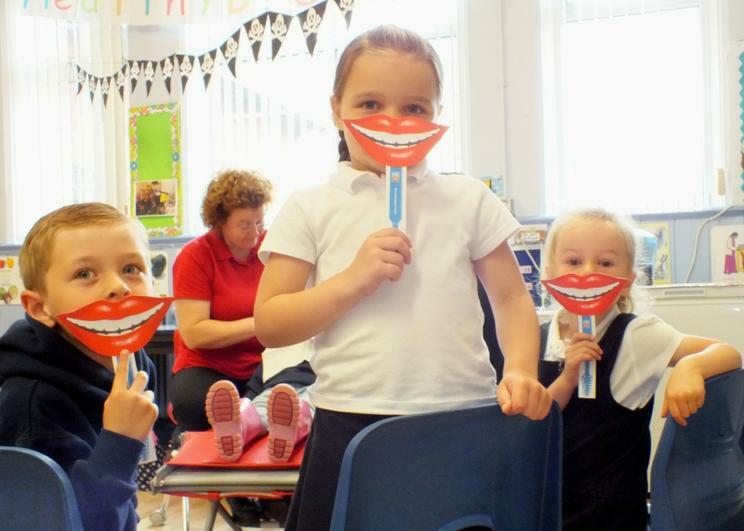 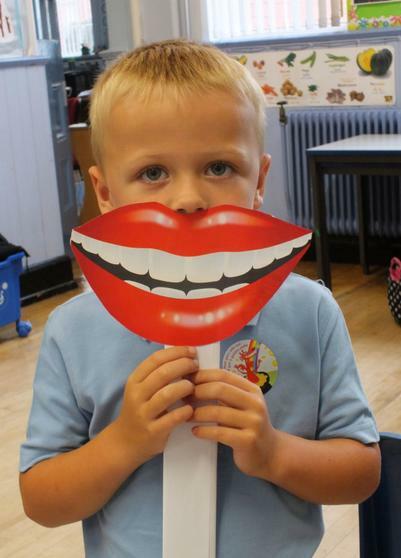 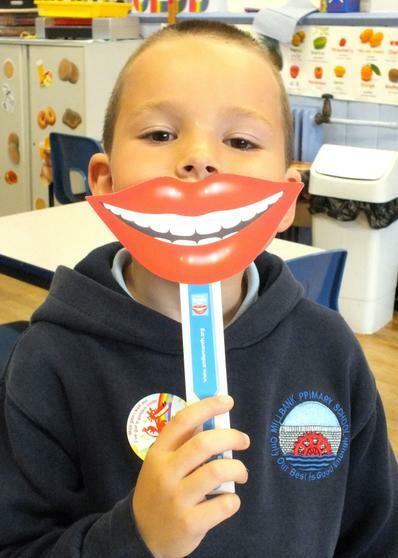 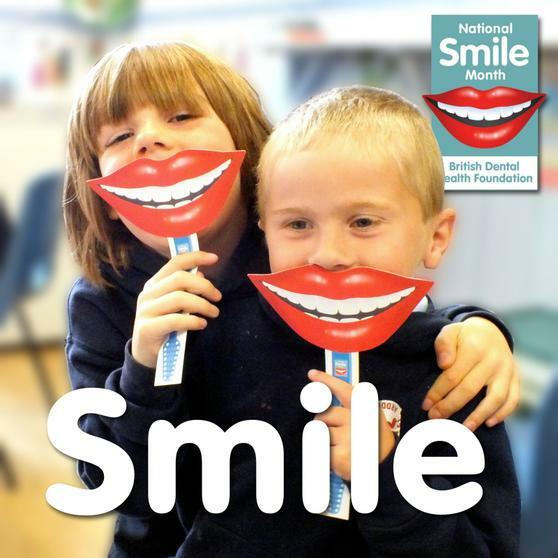 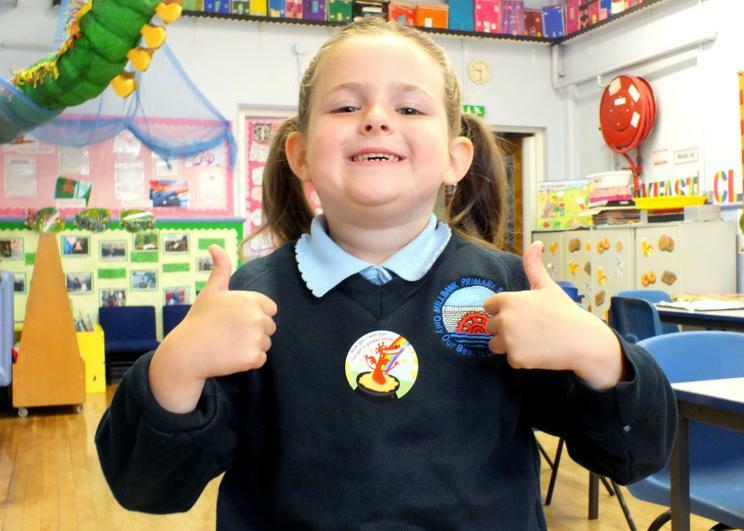 As part of National Smile Month (20th May - 20th June 2013), even the youngest pupils have been busy showing off their own smiles and posing with the smile sticks. 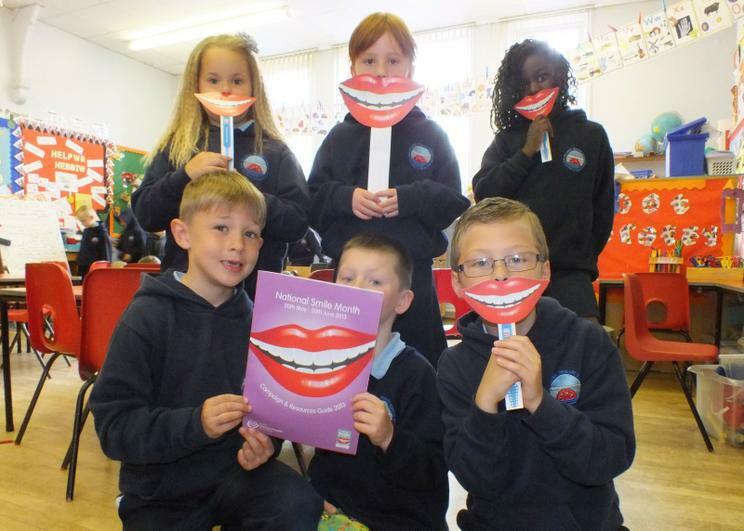 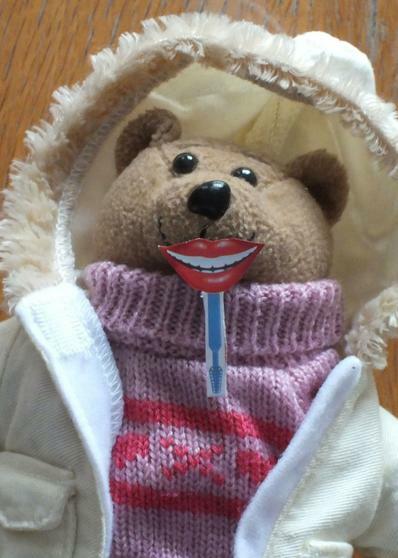 They have been giving us all tips in assembly about what we can do to keep our healthy smiles. 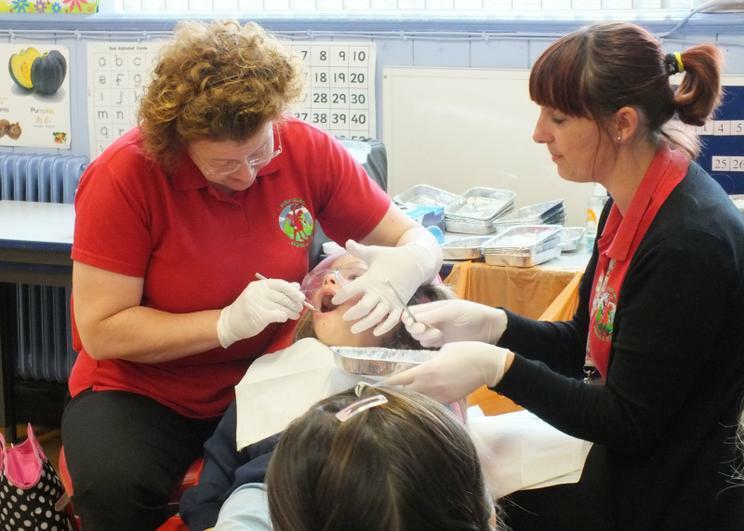 We had also had a visit from the ladies from Designed to Smile this is an NHS Dental programme funded by the Welsh Government helping children to have healthier teeth. 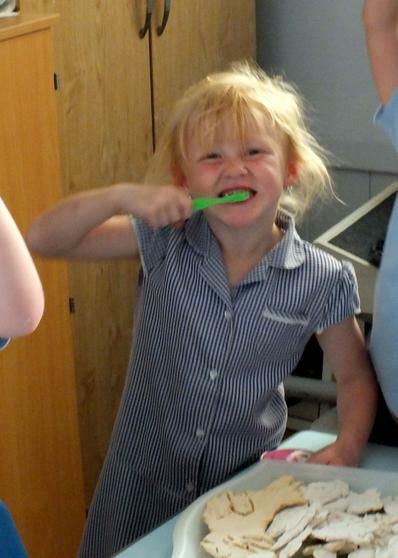 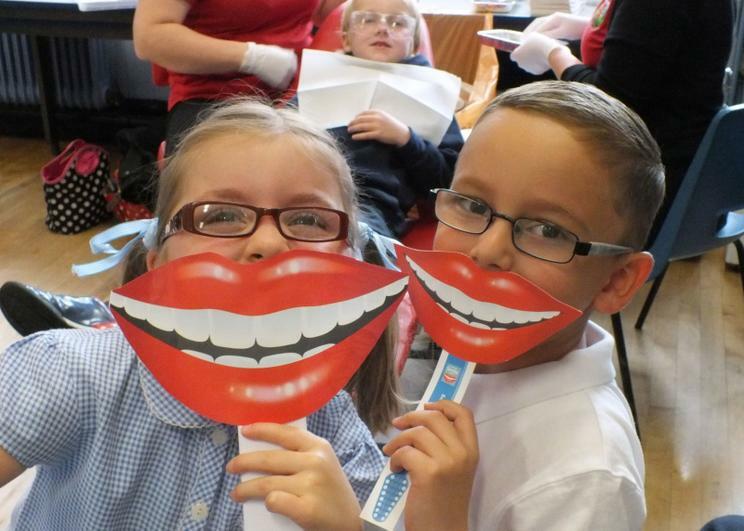 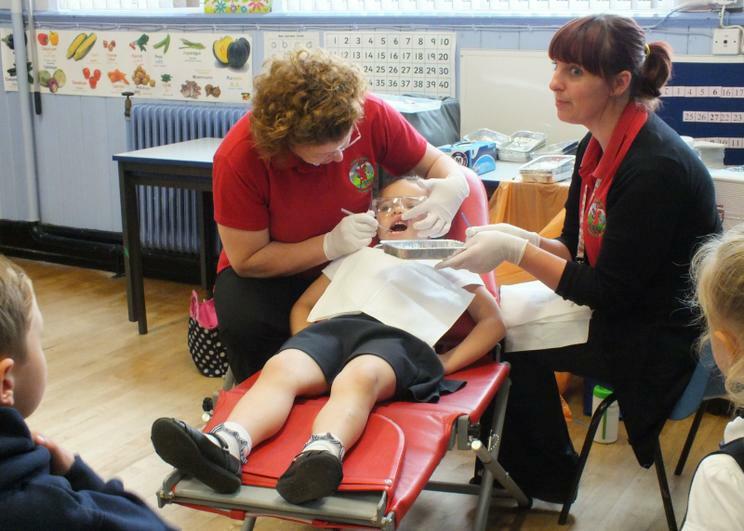 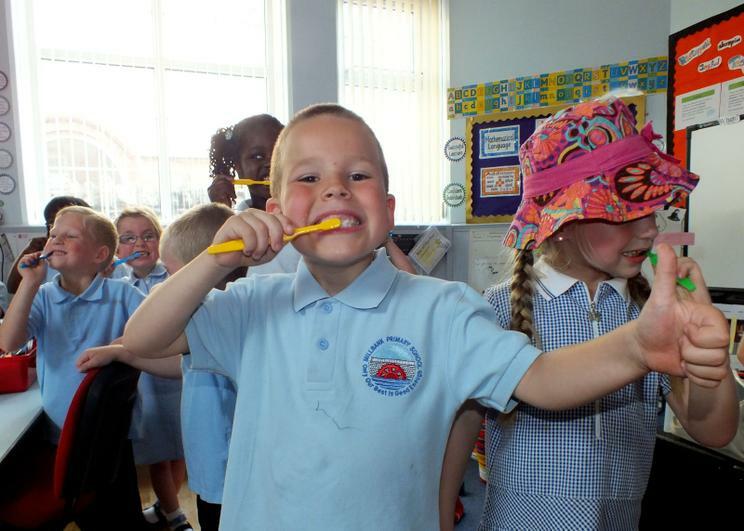 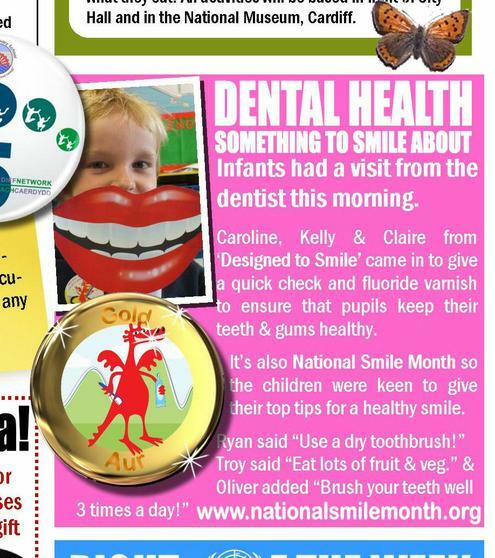 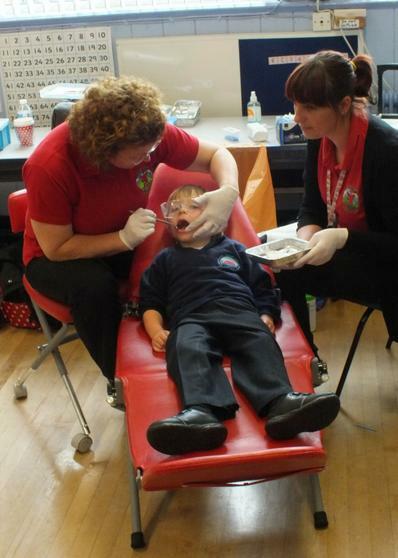 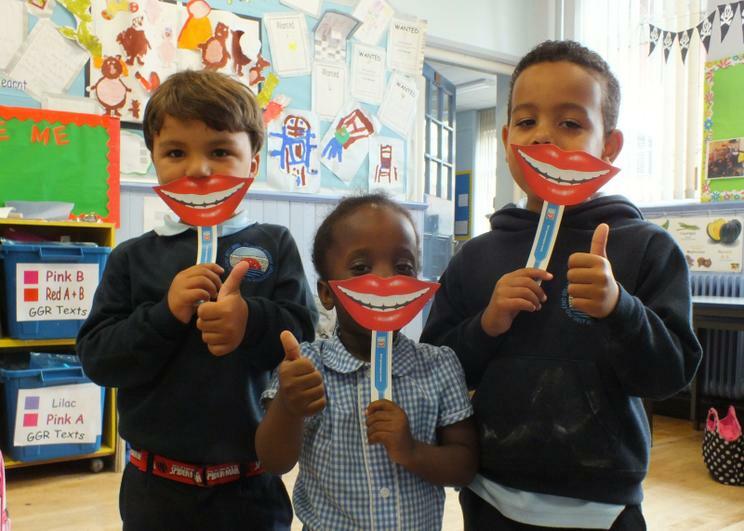 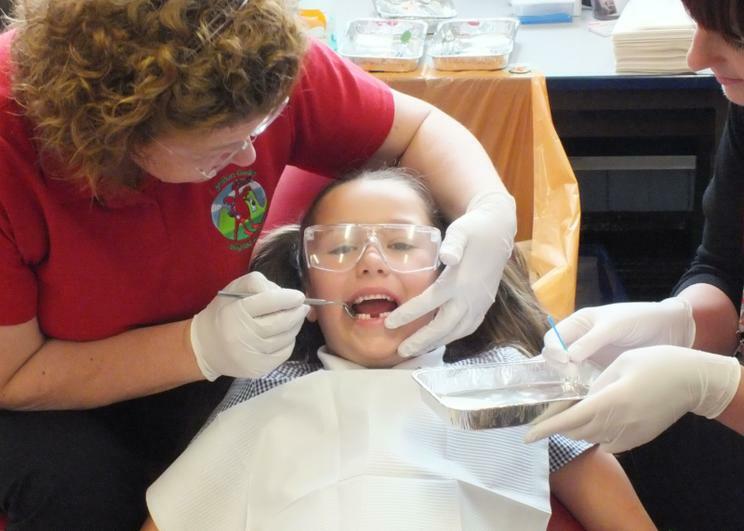 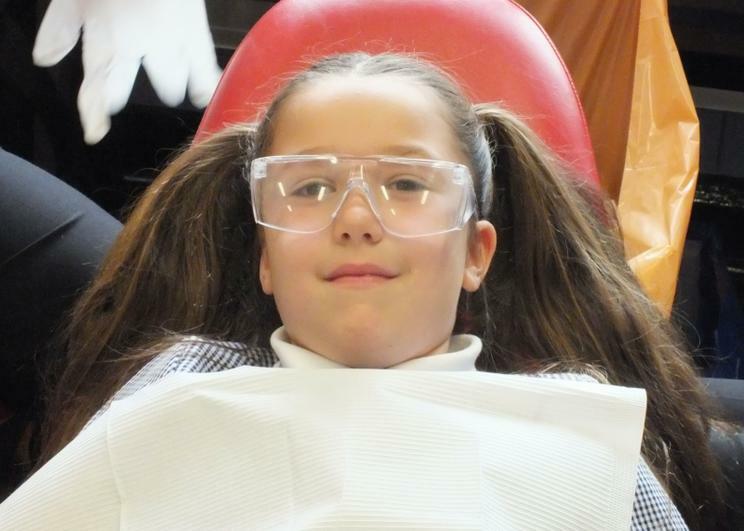 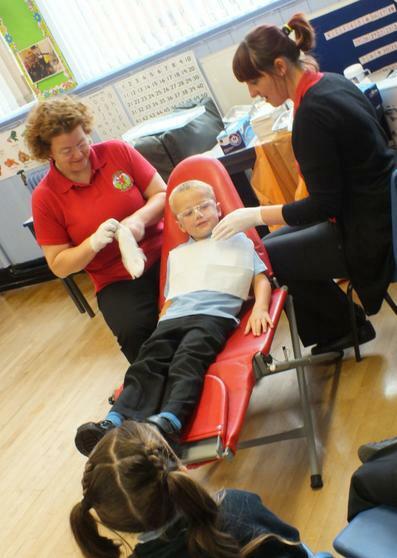 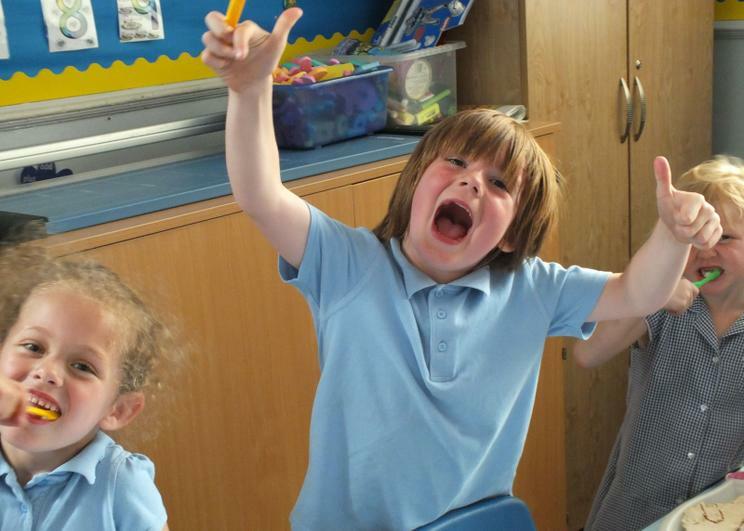 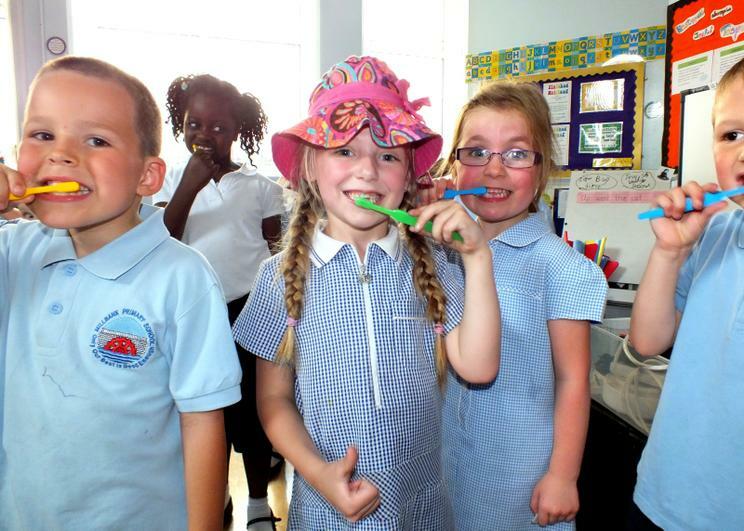 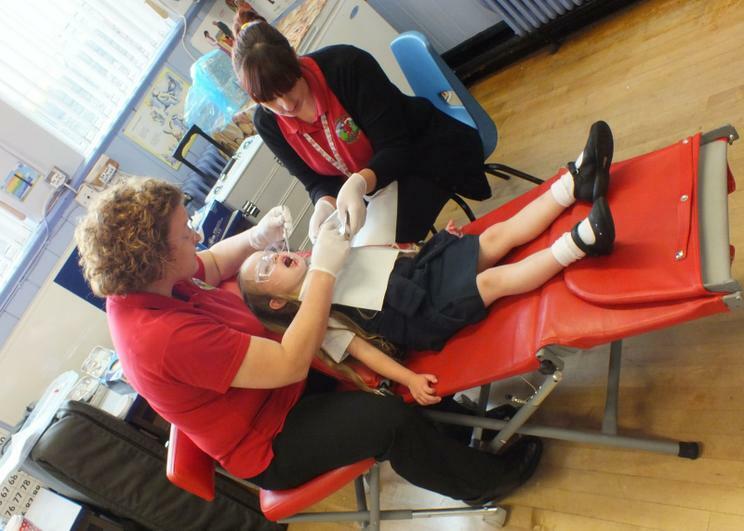 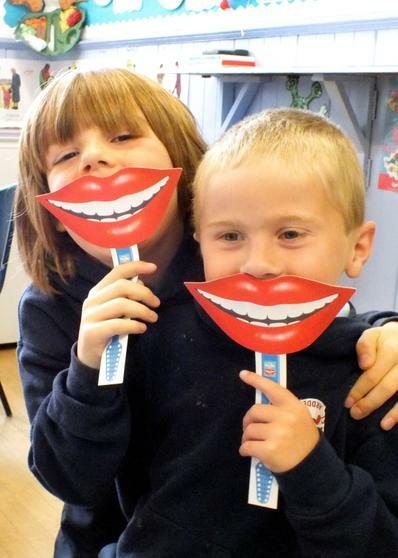 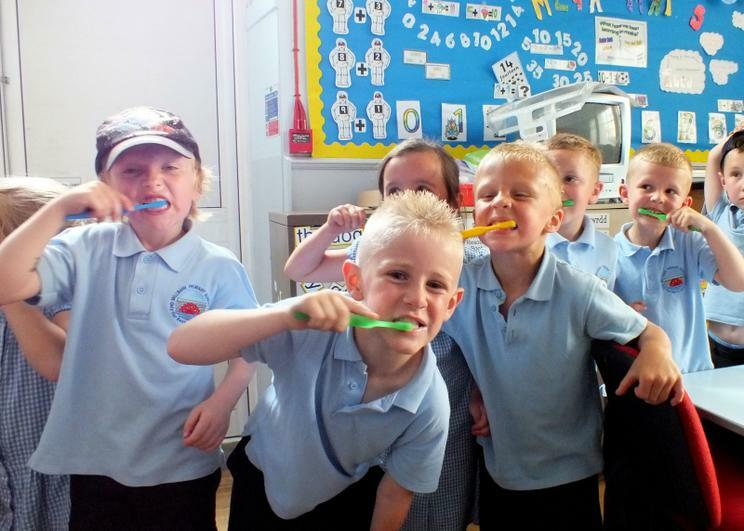 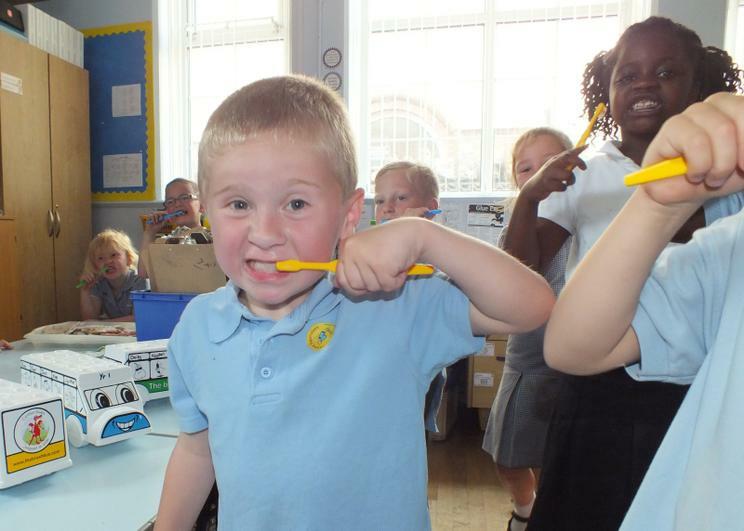 Like all schools we are really keen to support their work and encourage good dental hygiene in the children. 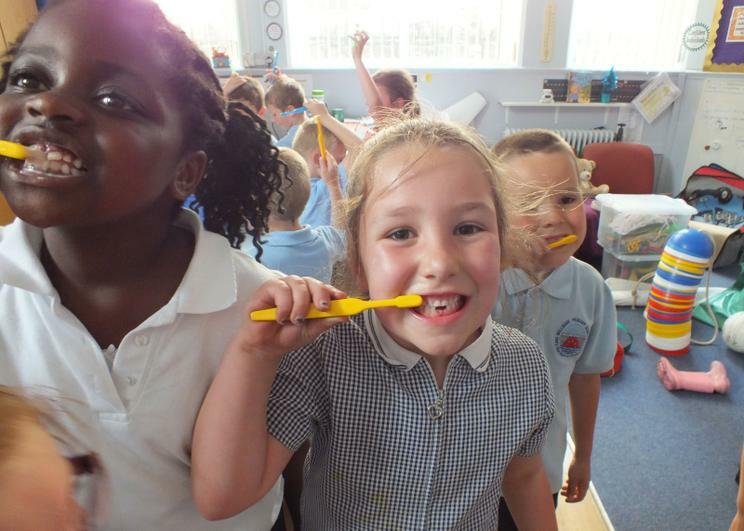 They had visited the infants today to apply a flouride varnish to children in reception. 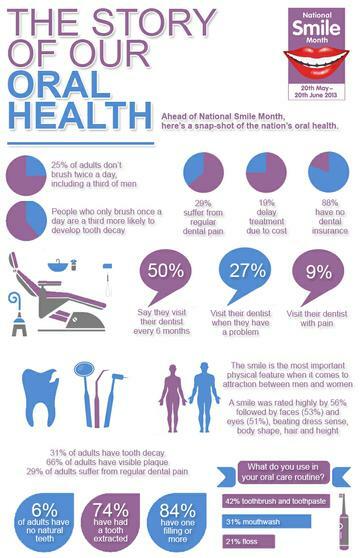 A diet that is rich in vitamins, minerals, and fresh fruit and vegetables can help to prevent gum disease. 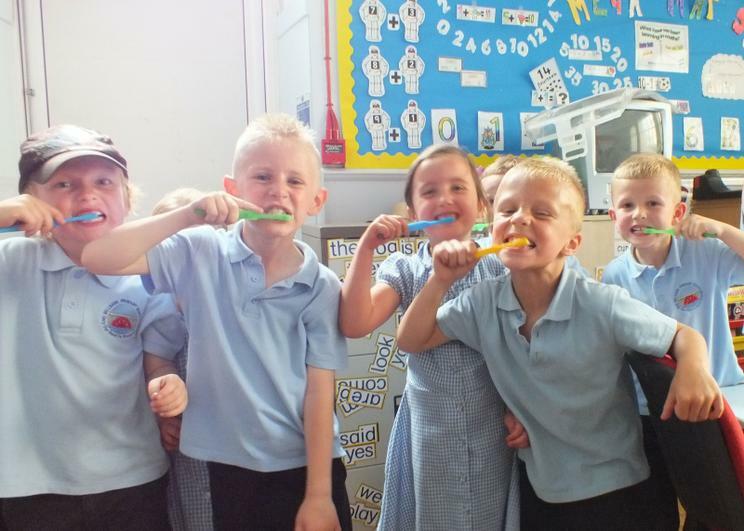 Eating and drinking naturally weakens the enamel on your teeth, and brushing straight afterwards can cause tiny particles of enamel to be brushed away. 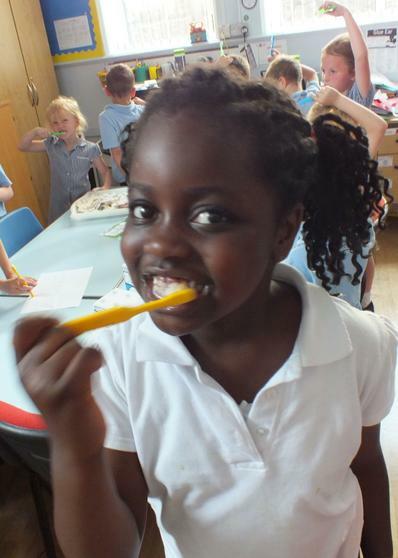 So wait an hour before brushing your teeth after eating, and brush before your breakfast! 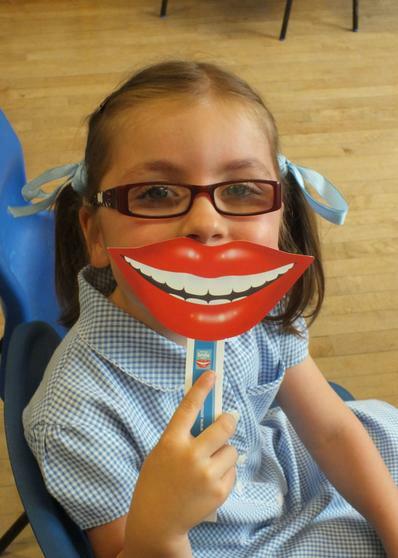 A glass of water is the best drink to give your child after eating sugary foods or after fruit juice. 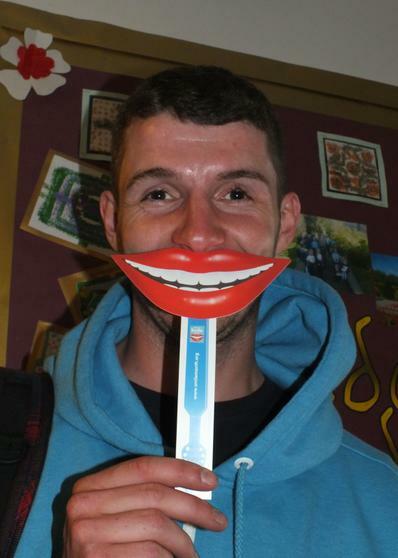 To help wash away all those harmful acids.